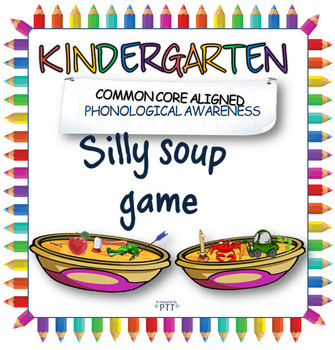 A great game where children can make soup out of objects beginning with the same letter. 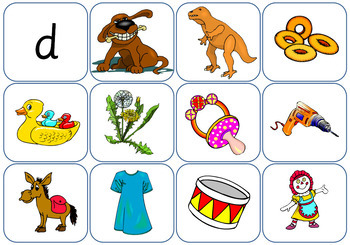 There are 8 Powerpoint files (to make silly soup with objects beginning with a, c, f, g, l, m, r and w) to use as a whole class activity. 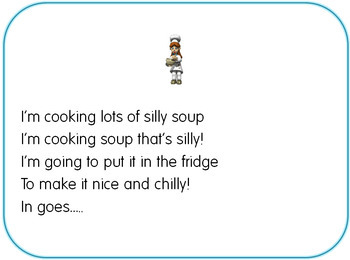 There is also a set of silly soup pans (or you could use real pans) in different colours, plus 150 cards with sets of objects beginning with each letter of the alphabet except for e, g, i, k, o, q, u, v, x and z.